Short post today. Our internet connectivity is gone from home and so I am stealing a moment to post while visiting my mother-in-law up in the Midlands. 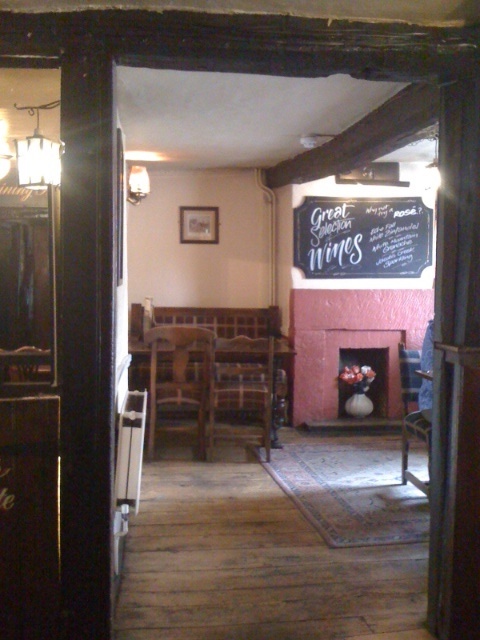 We had lunch in the oldest pub in Teweksbury… dated 1308. Staff members tell us that ghosts dwell in this pub and in this very room, an elderly lady sometimes sits and then disappears into thin air.